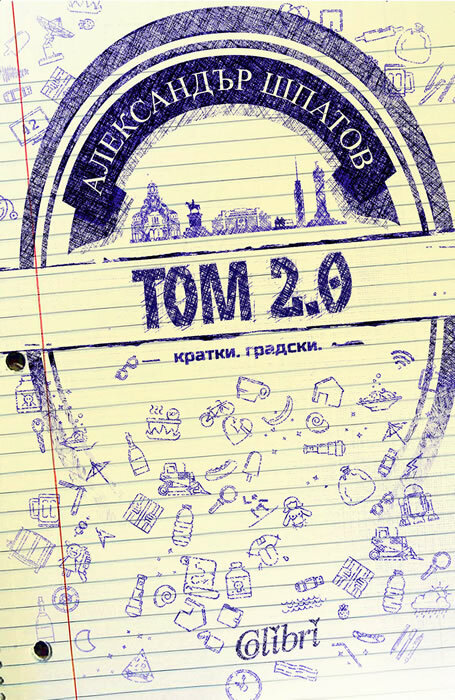 On the occasion of my 30th birthday, I decided to gather together and put between the covers of "Tom 2.0" the optimized version of the stories in my first three books: "Footnotes" (2005), "Footnote Tales" (2008) and "Calendar of Short Stories" (2011); I hope you will love this version (the last part of the sentence is the most important). Alexander Shpatov was born in Sofia in 1985. He graduated from the American College and Law faculty at Sofia University "St.. Kliment Ohridski ". He is the author of several short story collections: "Footnotes" (2005, "Southern Spring" Prize for Best first book of the year), "Footnote stories" (2008, nominated for "Helicon" Award and issued in Germany in 2010) and "Calendar of stories" (2011).